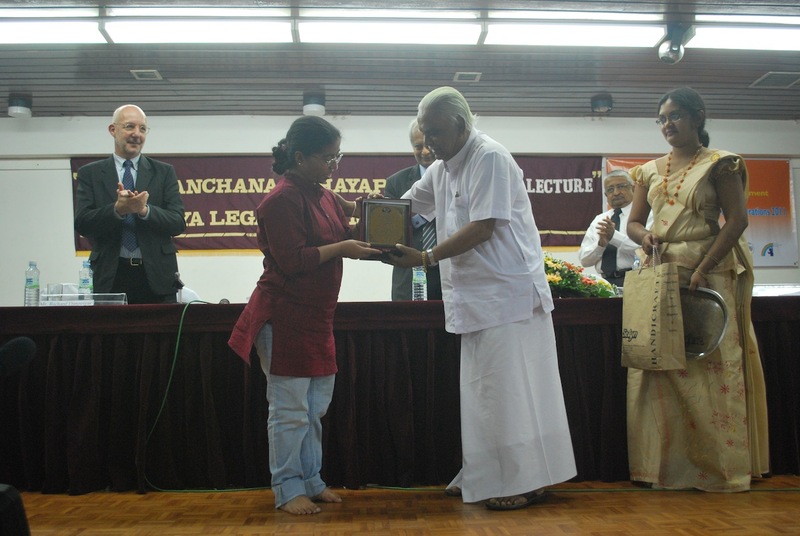 The Sarvodaya Legal Services Movement (SLSM) organized the 20th Kanchana Abhayapala Annual Human Rights Memorial Lecture to celebrate the United Nations Human Rights Day falling on the 10th December 2011, to commemorate the 22nd death and 50th birth anniversary of Kanchana Abhayapala, who was assassinated on the 28th August 1989. 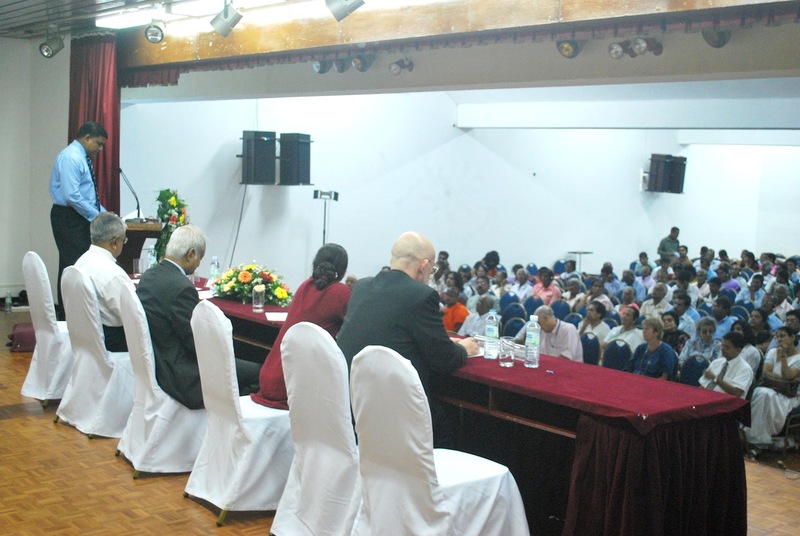 The lecture was held at the Sri Lanka Foundation Institute Auditorium on the 12th December 2011. The lecture on ‘Proactive Transformation: Safeguarding the Rights of Women and Children in a Developing Economy’ was delivered by Dr. (Mrs.) Sunitha Krishnan – Co-Founder and Chief Functionary of Prajwala ‘Eternal Flame’ and recipient of Real CNN Hero Award. Dr. A. T. Ariyaratne, the Founder-President of Sarvodaya Movement in Sri Lanka introducing Dr. Krishnan observed that when one looks at the amount of violations taking place all over the world, and the tragic circumstances women and children live in, all 365 days in the year should be treated as United Nations Human Rights Days. He further stated that he was proud that Sarvodaya had been associated with human rights needs of the communities for over 53 years and that he believed the only way to put the society right, was to win the sovereignty of the people. At present the rights of the citizens has been limited to the right to vote. The citizens would have to work hard to regain the lost sovereignty. Dr. A. T. Ariyaratne welcomed Dr. Mrs. Sunitha Krishnan stating that she needs much more recognition than she has been given up to now. 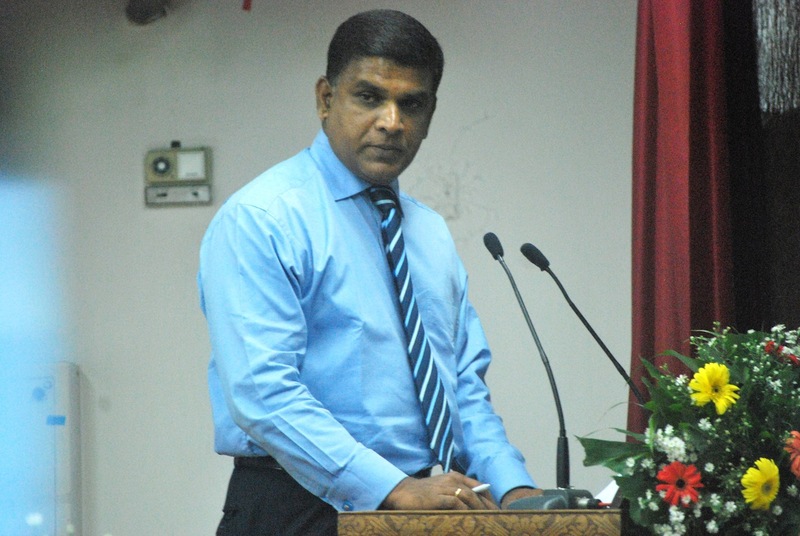 Dr. Krishnan stated that many women and children were traded for labour, adoption, slavery and prostitution from many countries including India, Bangladesh and even Sri Lanka. She stated that it is important for people to ask what they could do for these victims who go through shame, isolation and guilt. Very often the communities victimize the victim whereas the culprit continues with life without having to face the offence he has committed. She observed that many victims come from optionless backgrounds, which create a sense of desperation for the sake of wanting a better option. Those who are vulnerable are prayed upon with promises of love, marriage or anything that can give a better option in life. Dr. Krishnan stated that she had rescued 7,436 girls from prostitution, which amounts to a mere 7% of those who continue to languish under these inhuman conditions. Dr. Krishnan stated that it is important to be oneself, within each persons own limitations with family obligations and one must not talk about reasons as to why it cannot be done, instead, must talk about the way in which it can be done. It was important to stand together with the family. She concluded stating that it is important to realize that action is needed to be taken to safeguard children in general, irrespective of to whom they belong and it is important to build a dialogue to find ways to respond to these problems. 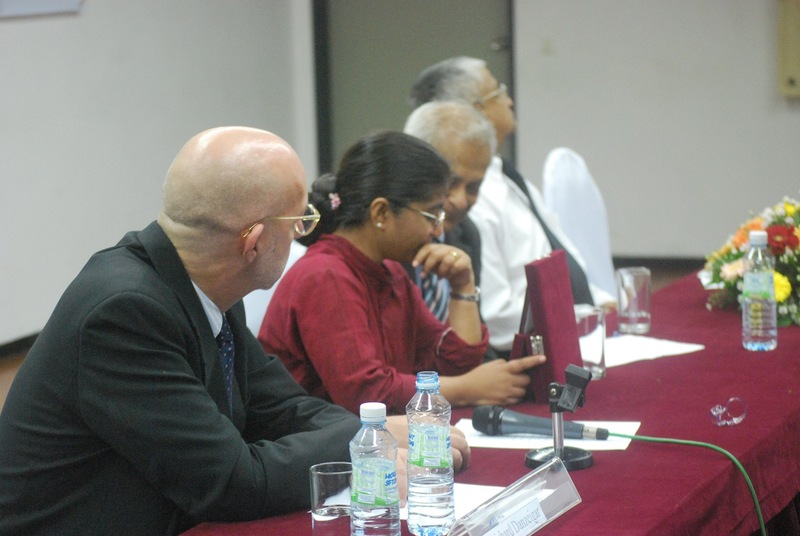 Dr. Harendra de Silva and Richard Danziegar chaired a high level consultation on “Building a Community Network to Protect Women and Children from Violence; what you and I can do”. This session was a highly interactive session and the participants expressed their views during this consultation where important points such as the importance of empowering children to build a network were discussed.